but did not walk her before she left. Baby S. taught Mommy a lesson! This kid is killing me today! Anyone want to borrow a Lab? If so, from 11am - 2pm you can renew your membership! Also, if you have any extra food and/or supplies please bring them along... SPCA will be collecting donations. See you there?! Thank you for contacting us. 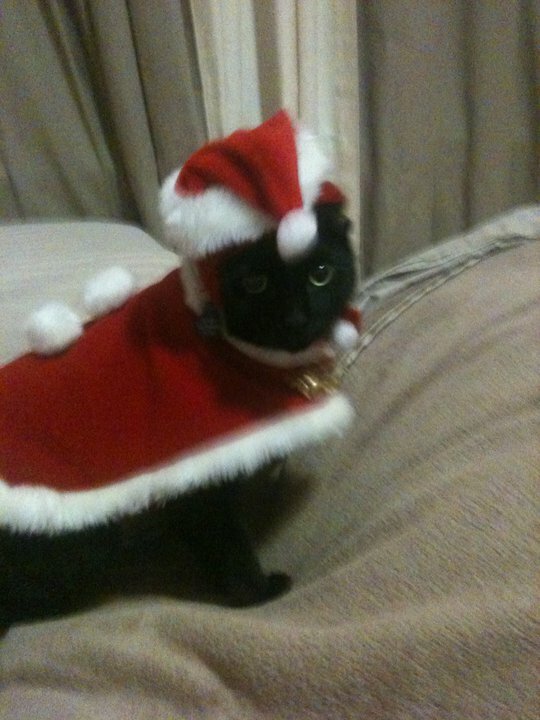 Unfortunately, our animal control budget was cut by the City of New Orleans for 2010. At the moment we are not responding to loose animals, and the responsibility has fallen upon NOPD to handle these calls. You can contact NOPD at 821-2222. We are currently in negotiations with the city for our 2011 contract. Hopefully we will once again respond to all animal-related issues come the new year. Did you see Isabelle on WDSU last PM? RENEWALS: We have received several emails asking why our permits renew on a calendar year rather than a renewal based on the purchasing date. The decision was made prior to the opening of the dog park in order to develop an operating budget based on estimated costs and permit revenue. We wanted to avoid mailing monthly renewals and reminders because of our limited staff. We also needed to ascertain money available to operate the dog park each January. Because the dog park must be self-sustaining and because we are budgeting for a facility that has no maintenance history in this city, the calendar year approach was more manageable. The cost of the permit was kept low, less than $3.00 per month, in order not to make it onerous for those on a limited budget or those who wish to join mid-year; even for 6 months, it is still only $6.00/month. Because we realize that there was some confusion, permits obtained after August 1, 2010 will be sold at a $10 discount if requested at time of purchase. Oops! : Some of the copy from the last Bark Bits was accidentally cut during formatting. The hints for safe holidays with your dog came from Dog Owner's Home Veterinary Handbook, by Carlson, D.; Carlson, L.; Eldredge, D.; and Giffin, J. New Jersey: Wiley Publishing, Inc. 2007. ROAD WORK: The FEMA road project is under-way to improve parts of Diagonal Drive and Magnolia Drive, two of the streets that border the dog park, and to resurface the parking area across the street from the dog park. Access to the dog park will not be impossible, but you might need to take a detour or alternate route...something we New Orleanians have become experts in for the past few years! PERMIT SALES: New permits and renewals are on sale now at the dog park office. If you are a renewal, you may just print out the form from our website www.nolacitybark.org and mail it with your check payable to City Park/dog park or credit card information to #1 Palm Dr. NOLA 70124. Your existing card will be reactivated. New permit applications may also be mailed in, but the cards must be picked up at the dog park office between 9am and 5pm, Monday-Friday. If you want a card mailed, please include $5 extra for mailing. We do request that new and renewal applications be filled out completely and clearly so that we have the correct, current information. Please print your email address so that we can correctly add you to our e-newsletter. The permit fee is still $35 for registering up to 3 dogs from one household. Help us light the park! Remember your favorite pooch with a donation to NOLA City Bark. All year end donations will be restricted to lighting the bark park. 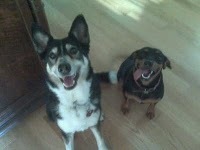 Checks should be made payable to "Friends of City Park-dog park", 1 Palm Dr., NOLA 70124. 1. Great stocking stuffers-NOLA City Bark t-shirts and doggy stockings for sale. 3. Visiting foster dogs and shelter dogs will be at the park and available for adoption. If you need another furry friend, or know someone who is looking for a dog to adopt, this is a great opportunity to come out and see a dog in a social situation and learn if she is the right pet for you. 4. We will also be collecting new or gently-used towels, blankets, training treats, puppy teething toys, ping pong balls (for cats), new dog toys, and canned dog and cat food for the LA/SPCA at that time. December 11, 12, 18, 19(10am-3pm) and December 16(3pm-6pm): Holiday Pet Photos, $25 per sitting, proceeds benefitting the LA/SPCA and Gulf Coast Doberman Rescue. Have your pet's photo taken with Santa or in a sleigh at Jefferson Feed, Pet, and Garden Center, 4421 Jefferson Hwy. Holidays (December 24, 25, 31; January 1): Although City Park administration offices are closed on federal and state holidays, the dog park will remain open for your use during its regular operational hours. Be advised, however, that maintenance will also have limited hours. It might be a good idea to bring a poop bag or two from home incase the poop stations do not get refilled as needed. Extra liner bags are tied at each station incase the liner bag becomes full. You may remove the full bag and put in the extra bag if needed. This kid makes me laugh! his story on CNN is about one of my piano teacher friend's husband and their golden retriever who saved his life! It's the sweetest story I've seen or heard in a really long time. Still have tears in my eyes. Paul and Shearon Horton lived in New Orleans for many years before moving to Austin about two years ago. Hope you have all have a good night, and please keep Paul and Shearon in your prayers...as Paul says, "then life changed!" Did you know that 69% of Greater New Orleans households have a pet? These pet owners make up every demographic in the city. You can now personally promote to them when you participate in the Mardi Gras Bead Dog® project, Paws on Parade. With Paws on Parade, you will become a critical part of an incredible “pup-lic” art project that benefits the Louisiana SPCA. Beyond its inspiring personal benefits, public art is a true symbol of a community’s maturity. It expresses a positive sense of identity and values. It helps green space flourish, enhances pedestrian walkways, landscapes, and community gateways; it demonstrates indisputable civic and corporate pride in citizenship and creative endeavors. A city with public art is a city that lives and breathes. Your opportunity to breathe life into New Orleans renaissance has come in the form of Paws on Parade. Over 100 Mardi Gras Bead Dogs® will “parade” through the streets, each one uniquely painted by a local artistled by title artist, Alex Beard. The event will be featured in Greater New Orleans and the North Shore from 2011 to 2012, kicking off during Mardi Gras 2011 with the support of Zulu’s very own “Mr. Big Stuff,” Stephen Rue. We are honored to invite you to “adopt” your Mardi Gras Bead Dog® and give it a proud new home that shows your support of the arts and an incredible cause that affects our community. Public art and the animals like those Paws on Parade represent have the power to make strangers talk, children ask questions, calm a hurried life, invite interaction and enhance the quality of life for generations to come. The impact of public art on a community is priceless and once experienced it only appreciates. When the Mardi Gras Bead Dogs® start their Paws on Parade, they’ll provide an economic boost of more than $40 million and bring in an estimated 2.1 million potential Mardi Gras Bead Dog® adoptors, including more than 400,000 prior to our 2013 Super Bowl. You are the first to know: Paws on Parade has been unleashed! The first round of sketches include brightly colored Mardi Gras Bead Dogs® representing sports teams, iconic venues, community groups & causes, honor/memorials, businesses, and individuals. Visit our Web site for more information on how you can find your forever four legged friend and join the pack of companies and sponsors that are ready to take advantage of such a bone-afied public art project as unique as the historic community and furred friends it supports. 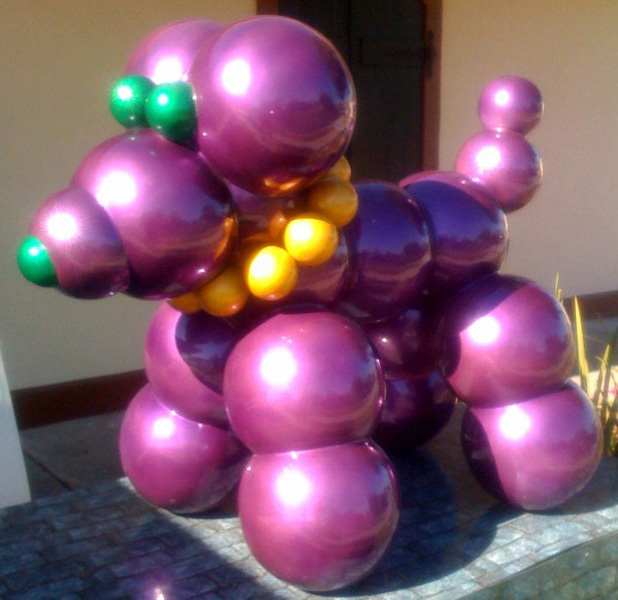 Art, like Mardi Gras Bead Dogs® should never be cooped up. There are no boundaries for participation and sponsorship. Contact our Sales Krewe: Stephanie Miller Murphy or Dean Howard to participate or visit our Web site for more information: la-spca.org/pawsonparade. Chaos being patient for Jessica! Still workin' on the blog! Katie and Buzi - down by the river! Is it me or is it just a little to cold for that?!? Crazy yea?!? I can mobile blog... The madness! Darn - my photos are doing it again... and by that I mean, not doing (posting) again! Why me? 1st - I get a text message from NOLA Ready at 3:07am to tell me that it is "freezing"
3rd - Coldest day EVER at City Bark! Henri and Isabelle care? I think not! The Louisiana SPCA is recognizing Anderson Cooper and the AC360 Team for their tremendous effort and countless hours bringing much needed worldwide media attention to the plight of animals in our region affected by the BP/Deepwater Horizon Oil Spill. Our specific AC360 experience enabled the LA/SPCA to raise additional funds for our Gulf Coast Companion Animal Relief Program. The funding from this program, much brought in from AC360 coverage, enabled us to extend our outreach to those most in need and make a true impact with free pet food and veterinary care for over 1,000 animals. The Dorothy Dorsett Brown Humanitarian Award is presented to individuals demonstrating incredible compassion and charitable work within the human community as well as passionate advocates for the humane community of companion animals. 2009 - The Board of Directors of NOLA City Bark in recognition for the tremendous efforts and countless hours volunteered over the past two years, culminating with the creation of the first official dog park in New Orleans' history. This project not only betters the lives of our four legged friends but also the community and region by promoting responsible pet ownership and providing an area for community - building and socializing. It also adds to the beautiful landscape of historic New Orleans City Park and becomes an additional visitor destination for our exciting city. 2008 - Ralph Alexis, Rikki Bagatelle, Keith Hall, and Miriam Henry; the incredible team of attorneys that provided tremendous pro bono legal advice and services advocating for justice in our fight against animal cruelty and dog fighting. 2007 - Frank and Paulette Stewart who for many years have been involved in diverse civic organizations including the Boy Scouts of America, Catholic Charities, Tulane University, and the National WWII Museum. Paulette has served on the Board of Directors and the Advisory Council of the LA/SPCA and has been an advocate for Humane Education. 2006 - Angela Hill, her dedication to broadening the public's understanding of the needs of companion animals and recognizing the integral role they play in our lives no doubt led to her being named the first ever "Animal Ambassador" by the LSU School of Veterinary Medicine. Blending her broadcasting talent and her compassion, her advocacy for animals has made her both an agent of change and a champion for animals. Sweet baby Tiny has crossed over to Rainbow Bridge. 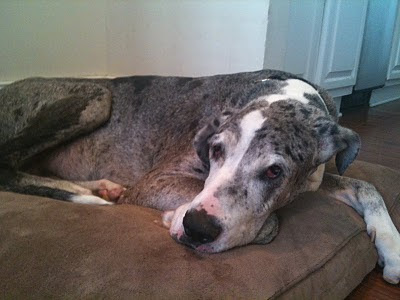 Please keep Sawyer, Buzi & Katie in your thoughts today... Tiny, go find Remy... he will show you around and take good care of you my darling. Sleep with the angels... We love you so much.